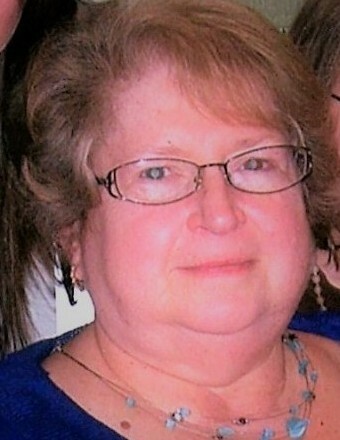 Centerville --- Susanne M. Ando of 10386 Rushford Road died Sunday, February 10, 2019 at the Hart Comfort House, Wellsville. She was born on December 13, 1949 in Buffalo, a daughter of the late Leonard and Mary Lou Seiter Bitka. She married David Ando who predeceased her. Susanne was a member of St. Mark’s Catholic Church in Rushford, the shady ladies card club and a former member of the Fillmore Rescue Squad. She was also a former Registered Nurse for the Jennie B. Richmond Nursing Home in Springville. She loved to paint, cook, crochet, sew, make crafts with cards, garden and most of all spending time with her granddaughters. Surviving is her son, Leonard (Louise) Ando of Centerville, three granddaughters, Paige, Cara, Harlee and a sister, Mary Lynn (David) Dole of W. Seneca, several nieces and nephews and several close friends. Family and friends may gather from 11:00 am to 1:00 pm on Saturday, February 16, 2019 at the Kopler-Williams Funeral Home, 21 N. Genesee Street, Fillmore where a funeral service will follow at 1:00 pm. Fr. Dennis JJ Mancuso will be officiant. Burial will be in White Cemetery, Rushford.